Will Rahul’s ‘NYAY’ scheme bring justice to the poorest? 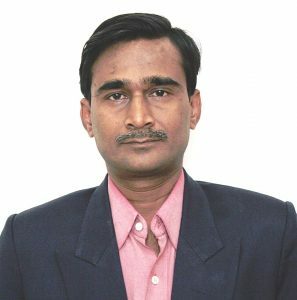 By Nageshwar Patnaik in Bhubaneswar, March 28, 2019: Over decades, catchy slogans have worked their magic on electoral fortunes. With polls in India round the corner, parties have come up with witty and innovative combinations of words and the 2019 general election, dubbed as the world’s biggest, is no different. In the past, many parties have won elections riding on the success of their creative slogans, while others have lost when their catchphrases failed to impress the electorate. Slogans often help politicians communicate with their ideas to voters. Not many can forget Indira Gandhi’s Garibi Hatao (Eradicate poverty), slogan on the basis of which Congress won the general elections in 1971. Given the party’s socialist leanings, the slogan has been revived every once in a while especially ahead of elections. Now Indira’s grandson has come up with yet another slogan, Nyay (justice) of “Nyunatam Aay Yojna, which he describes as ‘surgical strike on poverty’. “Nobody should be poor in the country in 21st century”, Rahul told a public rally on Tuesday. Rahul Gandhi on Monday at a press conference at New Delhi announced the scheme entailing a minimum income guarantee scheme of Rs 72,000 per household per year if the UPA comes to power in the Lok Sabha election, which is the biggest social protection scheme attempted anywhere in the world. This scheme would cover the poorest 20 percent of the Indian population and will benefit 25 crore people. After Mahatma Gandhi National Rural Employment Guarantee Act (MGNREGA), launched in 2005 during UPA-I, this seems to be the last attempt by Rahul Gandhi to capture the imagination of the people. He also explained it as a logical extension of MGNREGA and the UPA’s earnest move to take majuscule section of people out of poverty. While Narendra Modi led NDA government had announced the PM-Kisan scheme before the Model Code of Conduct (MCC) for general election came into effect on March 10 to give Rs 6000 per year to about 4.74 crore small and marginal farmers. Nyay scheme appears to be a bold, imaginative and socioeconomically prudent idea. The details of the scheme are yet to be worked out which will find a place in Congress’s election manifesto. The Nyay scheme commits a maximum of Rs 6,000 per month to be paid through direct cash transfer into the beneficiaries’ bank accounts. Once the scheme will be on the roll, the existing household income will go up to Rs 12,000 per month. In fact, Rahul’s ‘surgical strike on poverty’ makes Modi’s PM Kisan scheme virtually insignificant. 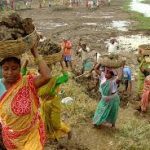 Earlier, the UPA government under the prime ministership of Dr Manmohan Singh had launched the MNREGA on the advice from Sonia Gandhi’s National Advisory Council (NAC). The MGNREGA attracted global attention as a unique social protection programme for its reach, scale, and design. It guaranteed 100 days of work in a year at a minimum income as a matter of right. Nyay scheme also will be targeted for the poorest 20 percent of the population. The income guarantee scheme – if implemented in right spirit, will bring lot of relief to people with threshold income and save them distress and debt traps. Moreover, it could go a long way to improve the health, housing and education standards of the poorest of poor households. Social protection schemes to protect people from economic shocks are nothing new in our country. In a welfare state, governments have to take steps for safety nets to ensure that vulnerable people are not to be left to live in distress and as the wretched of earth. But of late, the governments have opted out from conventional charity based social welfare schemes to cash and rights-based schemes for the targeted population. Nevertheless, such populist slogans and schemes sound good. To make it a real successful poverty eradication scheme, the government has to prioritize education and health as well. And for that the government has to earmark huge amount as well as make enabling policies in primary sector, manufacturing, labour, and social welfare to ensure that the income benefits are not offset by higher inflation, deepened unemployment and poor growth. In early 1970s, late Indira Gandhi launched Garibi Hatao slogan and yet, poverty is endemic even after five decades. Now her grandson Rahul has gone a step ahead with Nyay scheme to eradicate poverty. Whether this game-changer slogan will help UPA oust NDA government in 2019 polls remains a million dollar question.